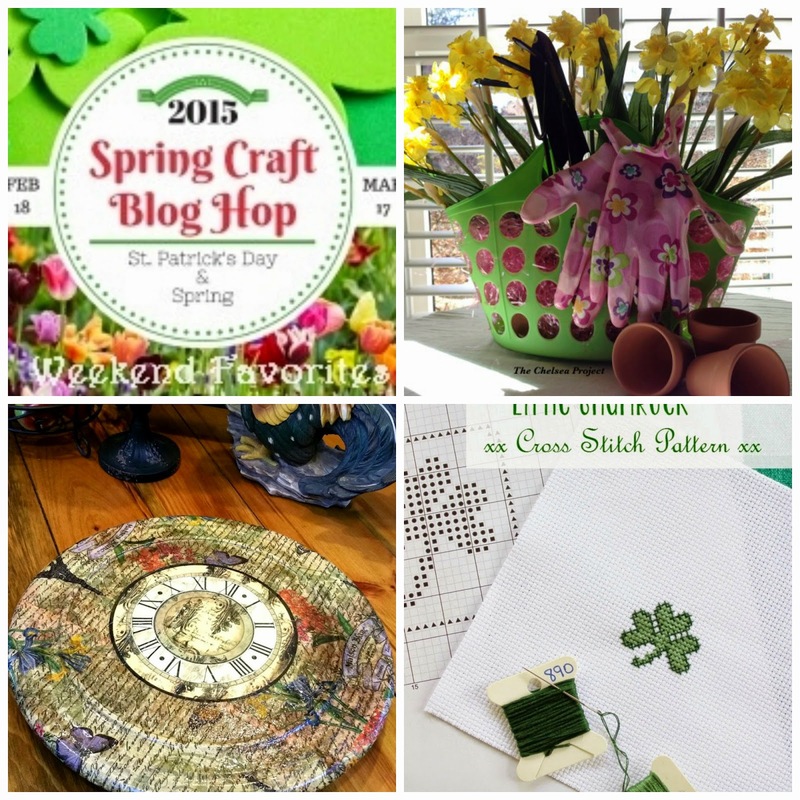 The Spring Craft Blog Hop continues to be such a treat for us to co-host. We are enjoying visiting some new to us blogs as well as checking out what some of our favorites have shared. This week we've chosen some great craft ideas that would be perfect as we're all planning ahead for Teacher's Day (May 5) and Mother's Day (May 10). 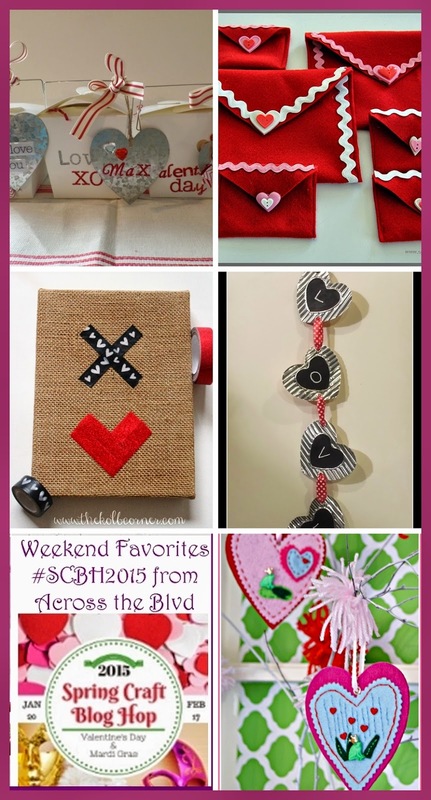 We hope you'll visit these blogs and let them know you're visiting from #SCBH2015. 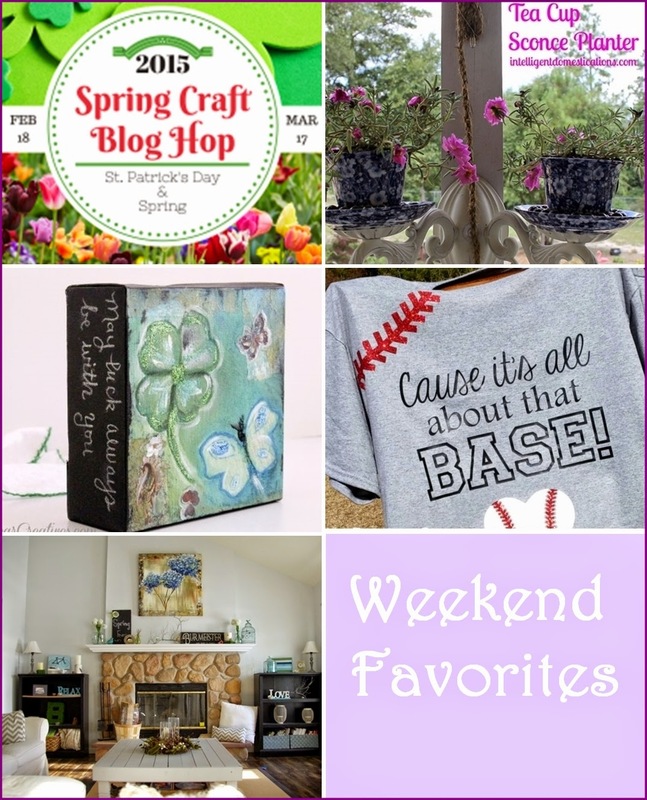 The Spring Craft Blog Hop continues to be such a treat for us to co-host. We are enjoying visiting some new to us blogs as well as checking out what some of our favorites have shared. With Easter behind us now, we want to highlight a few of our favorite non Easter creations that have been shared. 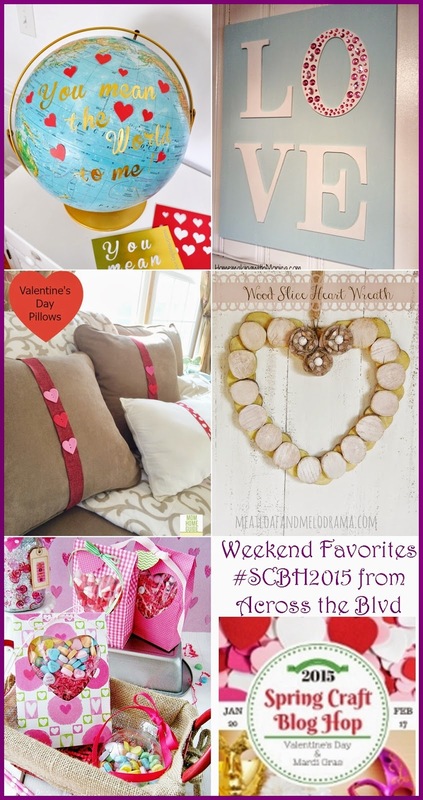 We hope you'll visit these blogs and let them know you're visiting from #SCBH2015. 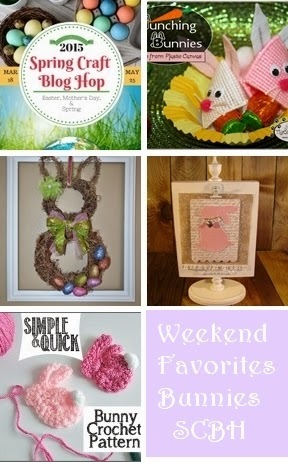 This weekend, we've selected some of our favorite Bunny Projects from the Spring Craft Blog Hop to highlight. There have been some adorable ones shared. We're featuring an assortment of bunny projects and hope that you'll visit these blogs to see more and let them know you're visiting from #SCBH2015. 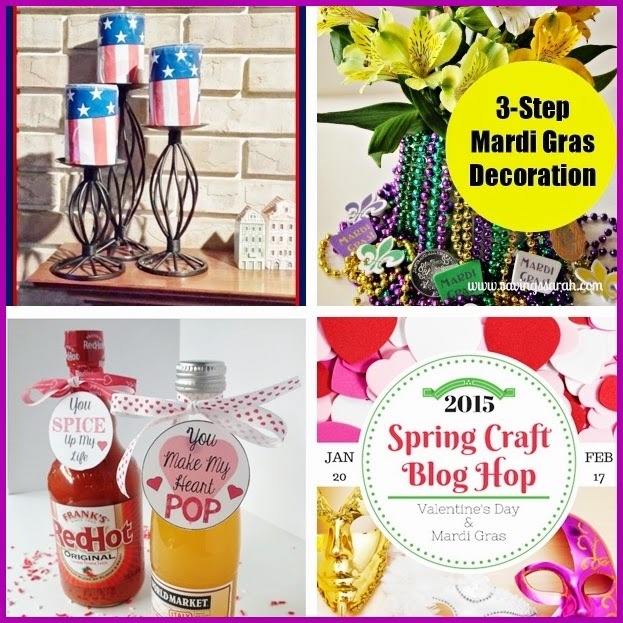 The Spring Craft Blog Hop is full of wonderful crafts and ideas for Spring decor. 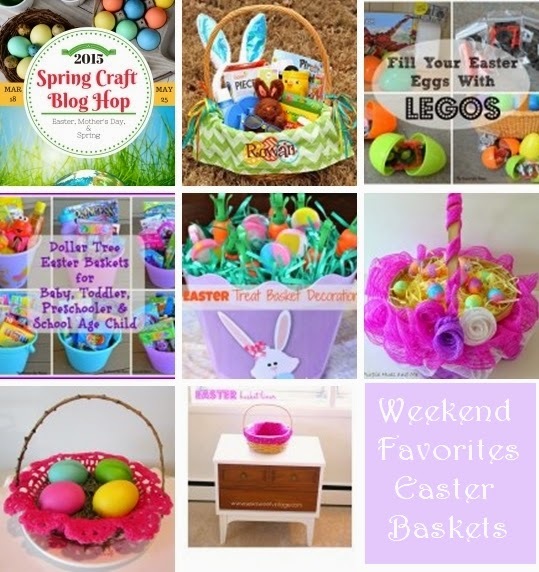 This weekend, we're highlighting baskets. If you're looking for fun ideas on filling an Easter basket or for ways to dress up a plain basket for decor, these are for you! It is such a treat to visit the blogs of so many talented crafters. Please visit them and let them know you're stopping by from #SCBH2015. We are delighted that you've stopped by for the next in the series of the Spring Craft Blog Hop. This one is going to be jam packed with lots of amazing crafts. We can't wait to see the creativity that you'll share with us. We're happy to be co-hosting, along with 18 other fabulous bloggers. Please visit them to see what they've shared to kick off this challenge. We want to welcome you and invite you to share your creations and we encourage you to visit the links that will be shared. This hop will run from March 18th - May 25th and will be the longest and biggest of the hops. We're challenging you to create a craft project that reflects Easter, Recycled Crafts, Earth Day, Mother's Day, Teacher's Day, May Day, Cinco De Mayo or a General Spring theme. Please join us in this challenge and link-up your crafty creation at the bottom of this post and have it shared on 19 blogs! 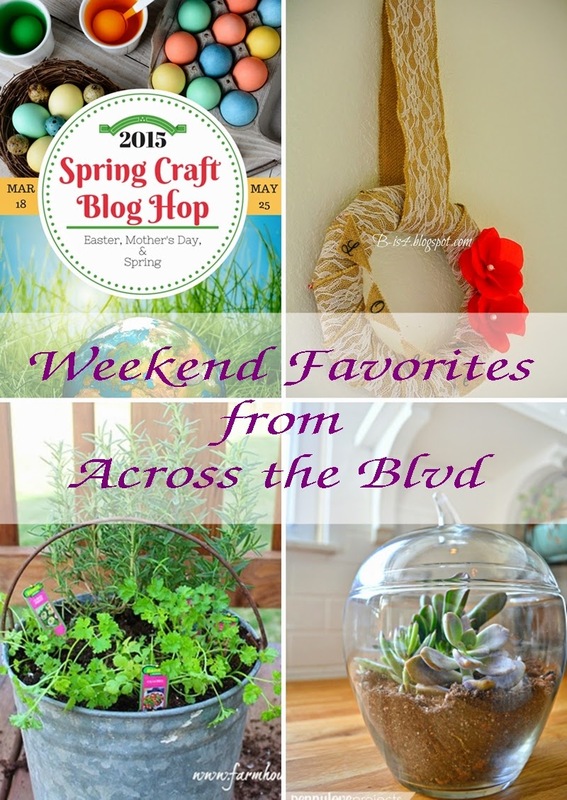 There have been so many awesome crafts shared on this series of the Spring Craft Blog Hop! We have enjoyed co-hosting it and seeing such wonderful ideas and creations. Each weekend, we're highlighting some of our favorites. Please visit each of them and let them know you're visiting from #SCBH2015. 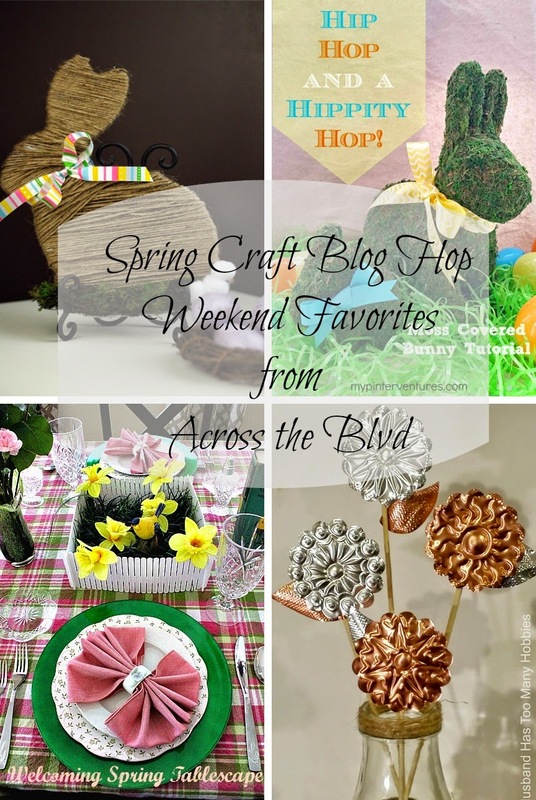 Each week, we are so impressed by all the talented crafters that are sharing on the Spring Craft Blog Hop. Even if the weather isn't feeling very spring like, the crafts that have been shared are getting us all ready to welcome spring into our homes. Each weekend, we're highlighting some of our favorites Visit these awesome blogs and check out the creativity! 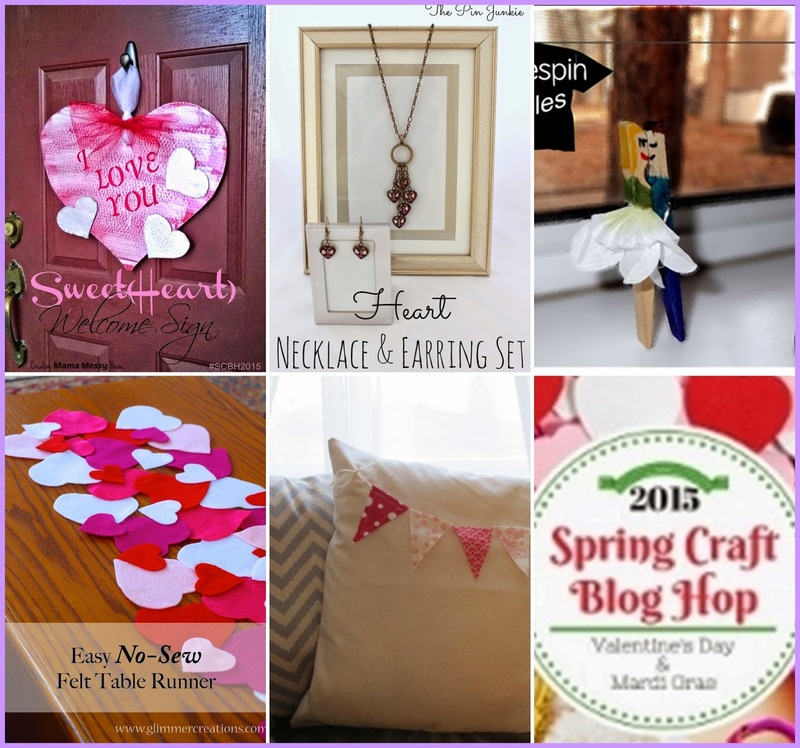 We are loving all of the amazing crafts that have been shared on the Spring Craft Blog Hop! Each weekend, we're highlighting some of our favorites. Visit these awesome blogs and check out the creativity! We are loving all of the amazing crafts that have been shared on the Spring Craft Blog Hop this week! Each weekend, we're highlighting some of our favorites. Check out these fabulous crafts! 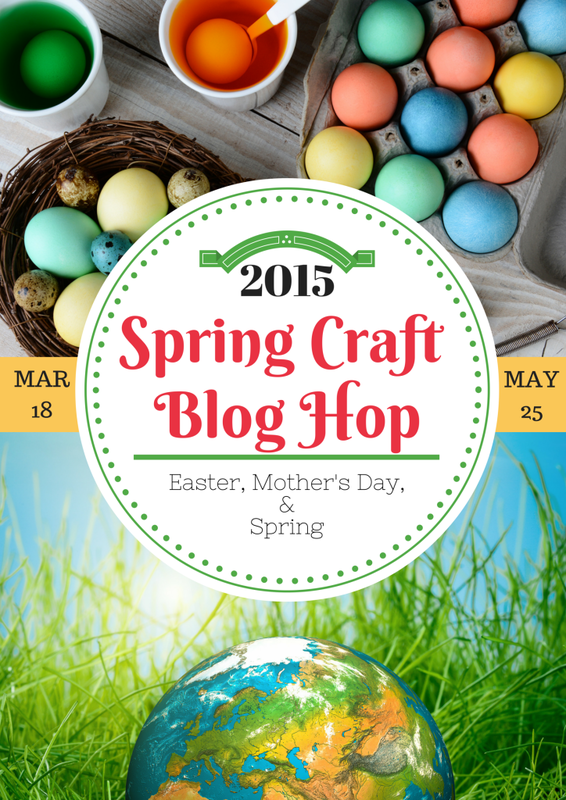 I'm so glad you've stopped by for the second Spring Craft Blog Hop! It may not feel like spring time is just around the corner, but it is! It's time to begin thinking about spring decor. After all of the warm winter colors, I can't wait to brighten up my home with pretty pastels and bright colors of spring! Welcome to the second in a four-part spring craft blog hop challenge for the spring season! 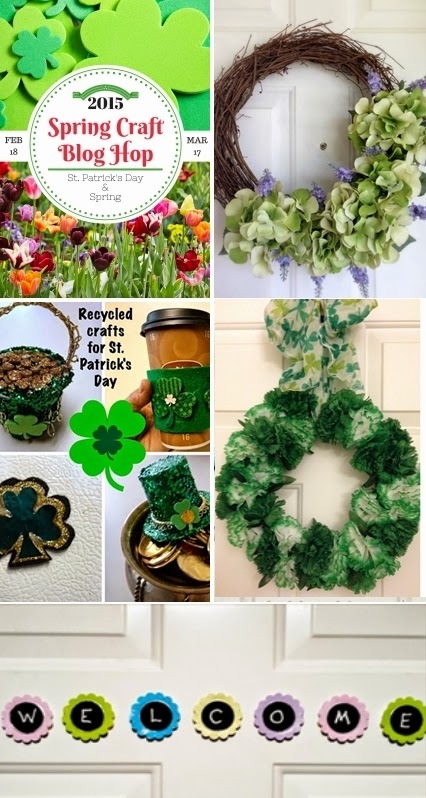 This hop will run from February 18 - March 17 and we're challenging you to create a craft project that reflects St. Patrick's Day, Palm Sunday, or a General Spring theme. Please join us in this challenge and link-up your crafty creation at the bottom of this post to be seen on 20 blogs! 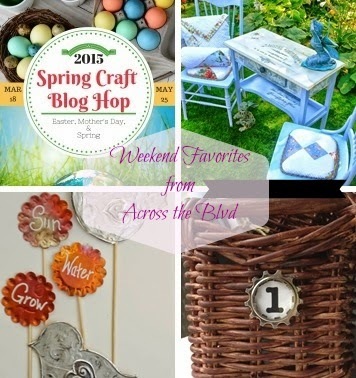 We've enjoyed seeing all the awesome crafts that have been shared on the Spring Craft Blog Hop! Each weekend, we're highlighting our favorites. If you haven't spent some time on these blogs, you're missing out! This week has been another fun one for the Spring Craft Blog Hop We're enjoying all the fantastic projects being linked up. Each weekend, we'll highlight our favorites. If you haven't spent some time on these blogs, you're missing out on lots of great ideas! We're having so much fun seeing all the awesome projects that are being shared on the Spring Craft Blog Hop. Every time we go back to see what's been added, we're impressed! We've picked several projects from the hop that we love. Each weekend, we'll highlight our favorites. If you haven't spent some time on these blogs, you're missing out on lots of great ideas.